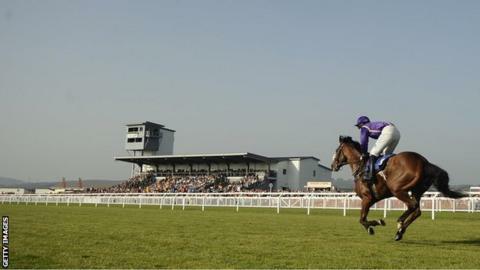 The Boxing Day meeting at Ffos Las has been abandoned due to a waterlogged track at the venue near Llanelli. General manager Tim Long inspected the track at 08:00 GMT on Christmas Eve but found the course to be unraceable after heavy rain throughout Monday. "We had 22 millimetres of rain in total yesterday and that has left the ground completely saturated, with areas of standing water," he said. "We thought it best to make a decision and let everyone know." Long continued: "From Wednesday of last week to Sunday, we had 60mm of rain and then we had another 22mm. "Even with a dry forecast I'm sure it would not dry out in time... we have more rain forecast tonight [Tuesday] and into tomorrow." Chepstow is also being monitored ahead of Saturday's Welsh National, although the outlook is more positive despite the bad weather affecting most of the country.